A swimming hole embodies everything that’s great about summer: the fresh air, close friends, exploration, and the discovery of that perfect secret cool-off spot that hasn’t just yet blown up. 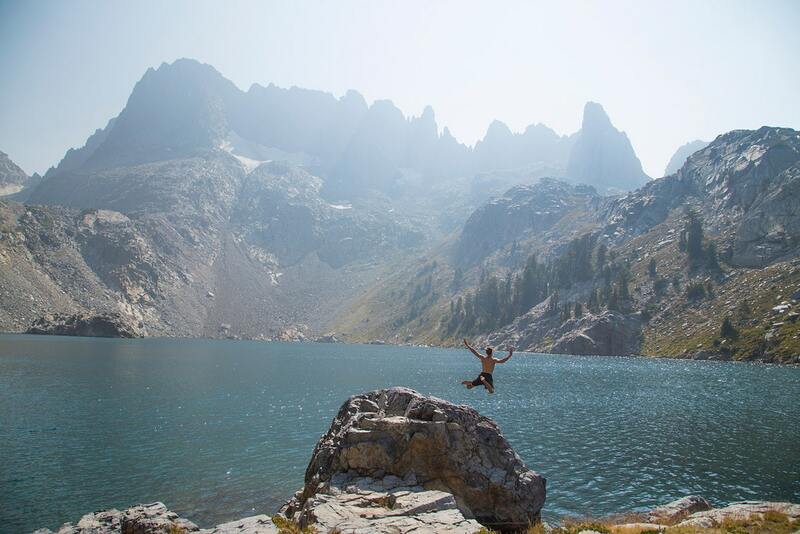 When we decided to round up a list of some of the best swimming holes across the country, we reached out to everyone we know to assemble what we believe is your new definitive swimming hole bible, stretching from New York to California, Texas to Canada (yeah, we let one of those sneak in). There’s certain to be one between the two points on your next road trip, so start planning. That’s enough from us; let’s get to the good stuff. We’ll see you out there. My dad has taken me to this spot since I was a kid. It’s a hidden gem where the water is emerald, cool, and so clean that I often drink right from it. Here, you’re surrounded by old-growth trees and there generally aren’t very many people around. And if there are, there’s an even secreter spot down the river a bit called “the Grotto,” where you can sit in a pool with a waterfall and watch the water rush by. I remember the first time I jumped off the biggest cliff, Goat’s Bluff, which is about 80 feet tall. It’s known as one of the bigger jumps on the river, and I always watched people do it when I was a kid. I finally had the guts to do it myself just after high school. I was pretty hyped. (For most adventures on Vancouver Island, head to our 72-hour Tofino itinerary). 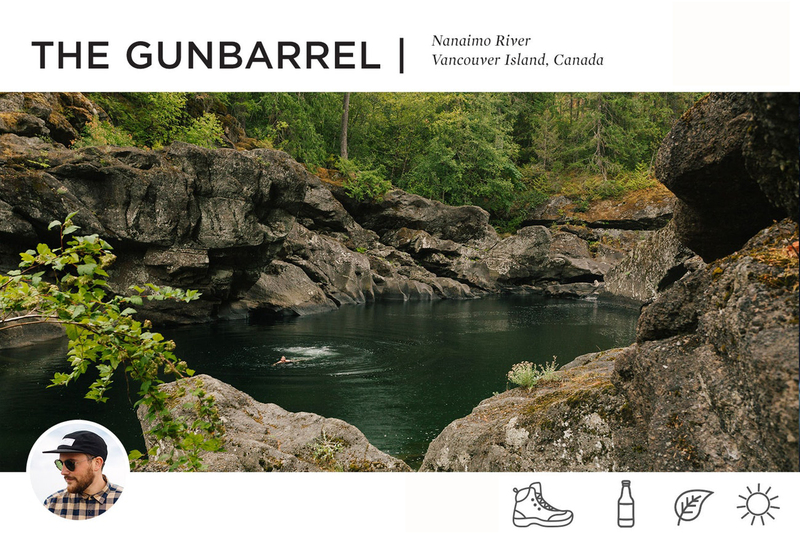 How to get there: The Gunbarrel is off Nanaimo River Road. Park off to the side near McDonalds Road and walk down the well-beaten trail to the dead end where you’ll hit a property with a big utility shed. Head along the trees until you see signs for the river. 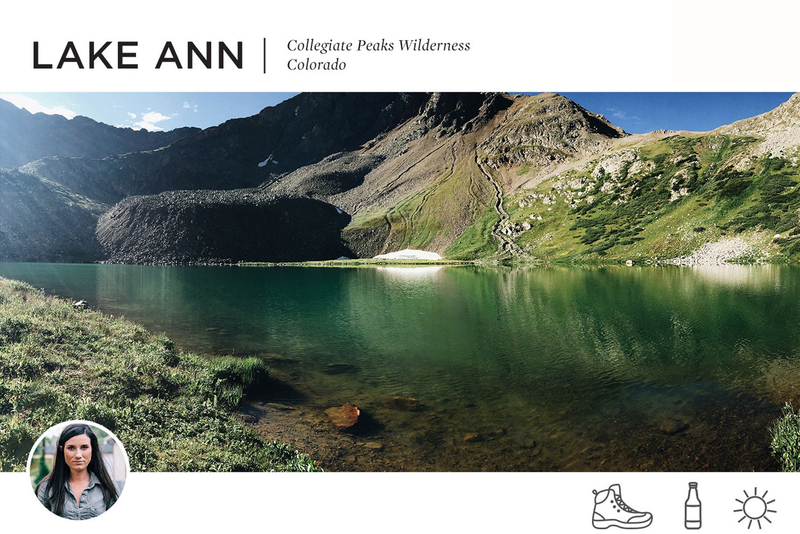 Lake Ann shares a trailhead with our favorite Colorado fourteener, Mount Huron, so we camp here religiously every summer. The hike to the lake is moderate, gaining 1,400 feet elevation over the course of four miles. Lake Ann sits pretty above timberline with great views of Mount Huron and the Three Apostles—think lush grasslands, wildflowers, and turquoise waters set against million-dollar views of the Rocky Mountain West, sans crowds. How to get there: To get to the South Winfield Trailhead, take Chaffee County 390 West from Hwy 24 (15 miles north of Buena Vista, 19 miles south of Leadville) and stay on the dirt road to mile 11.8. Here you will see the old restored ghost town of Winfield. Go south in Winfield and drive for three miles to the South Winfield Trailhead. 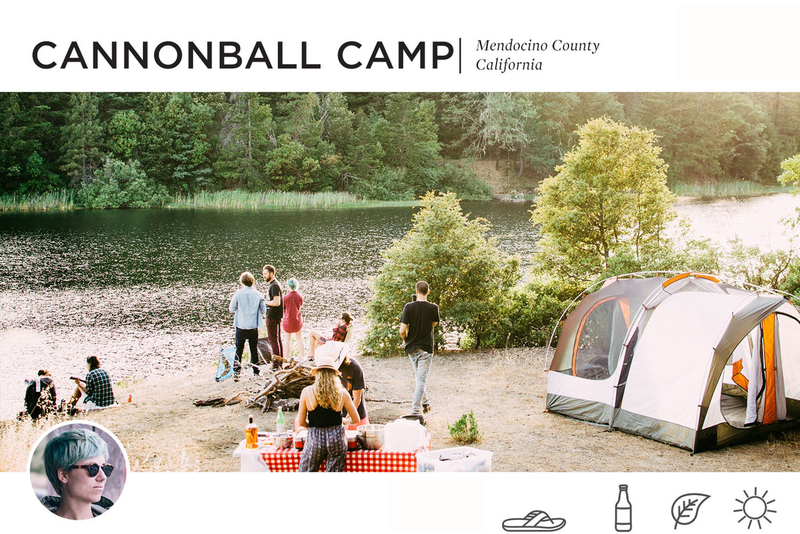 A part of Hipcamp’s Private Land Sharing program, you’ll have Cannonball Camp entirely to yourself—camping right next to the water, stand-up paddleboarding, s’more ready-campfire, and stargazing included. After you park, you carry your overnight bags a half mile into the property and set up camp next to the privately-owned lake. Did someone say skinny dipping? How to get there: Follow these directions at Hipcamp. My hometown of York is known for its beaches. Come summer, it’s swarming with tourists, which means the local kids tend to head for the bridge jumping spots. 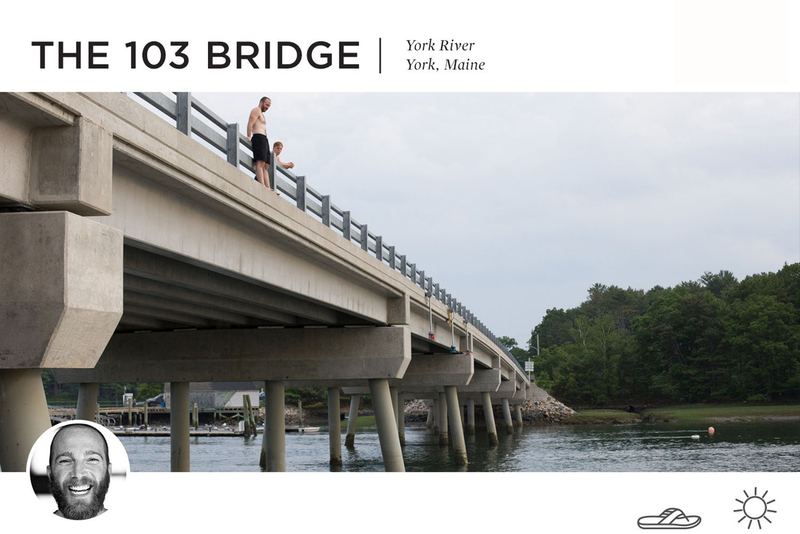 The Route 103 Bridge is the biggest of the them all, spanning the mouth of the York River 35 feet above the water. The sun sets directly upriver from the bridge, and working lobster boats are moored on both sides of it, so it’s about as “summer in Maine” as you’ll find. My memories from that bridge are fond and plentiful—riding my bike there for my first jump; taking night jumps in high school off the roof of my friend’s Explorer; watching my 100-pound, 13-year-old sister show up my jock friends who were scared of heights; hearing the hilarious screech my dad made the time he landed in a shockingly cold incoming tide. I still jump off the bridge every summer, on principle. How to get there: Follow York Street through town heading towards the beaches. When you see Foster’s Clambake on your left, take your next right onto Route 103. You’ll see a parking area on the left within a few hundred yards. Park there and walk up onto the bridge. A few summers ago, I was riding the 401—one of the best mountain bike trails in the country—when I came around a corner and saw this turquoise beauty. Emerald Lake is a high alpine gem, filled to the brim with baby trout and surrounded by perfectly symmetrical slopes near the top of the Elk Mountains. The whole thing is wildly remote, but made accessible by a dirt road — and that’s sort of the best part. You have to work to get up here, so once you do you’re having the time of your life. Plus the water’s absolutely freezing, so it’s even more worth it to take the plunge. How to get there: From Crested Butte, drive up Gothic Road. Emerald Lake is right before Schofield Pass. 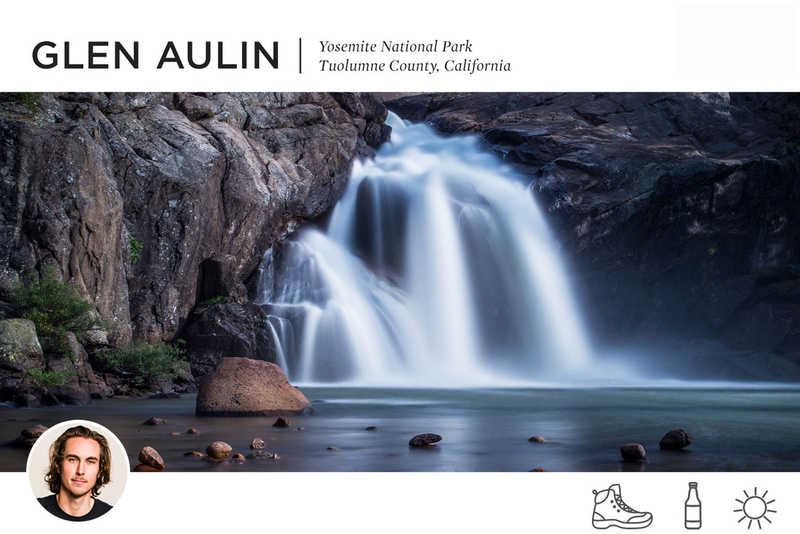 I first became aware of Glen Aulin through an old book on California’s many swimming holes. Sitting at the entrance to the grand canyon of the Tuolumne River, this spot has a spectacular valley of soaring granite cliffs, stunning waterfalls, and endless miles of meandering river. Backpacking in and making a weekend of it is the best way to experience Glen Aulin—you can camp by yourself or stay at the High Sierra Camp, a hike-in tent cabin-style hotel. 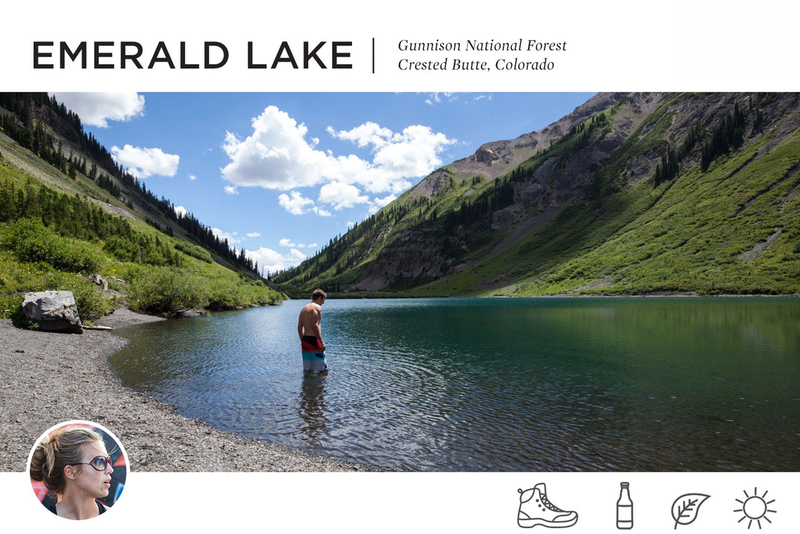 What's better than a beautiful hike, crystal-clear alpine pools, and a few cold ones around the campfire that night? Bonus tip: scramble up the dome above camp and the falls for one of the best sunset views in the park. How to get there: the Glen Aulin Trail is very well marked. Drive to Tuolumne Meadows and park at the Lembert Dome parking area. Follow signs from here to Glen Aulin on foot—a 12-mile round trip. 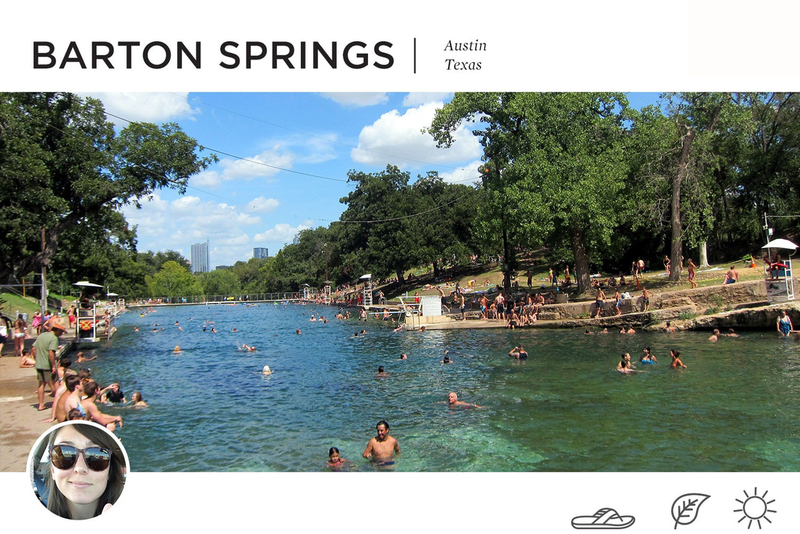 One of the best things about Barton Springs it the night swimming. Entrance during the day costs $3, but night swimming is free from 9-10 p.m. It’s especially awesome when there’s a full moon—you’ll be howling at the moon every 15 minutes. How to get there: There’s ample parking out front, but I typically park in the back of the springs off of Robert E. Lee Road. It’s free and most visitors don’t know about it. As a Massachusetts native living in Colorado, I've become increasingly nostalgic for that deep New England green, and Blue Hole embodies that image of wild, lush territory. 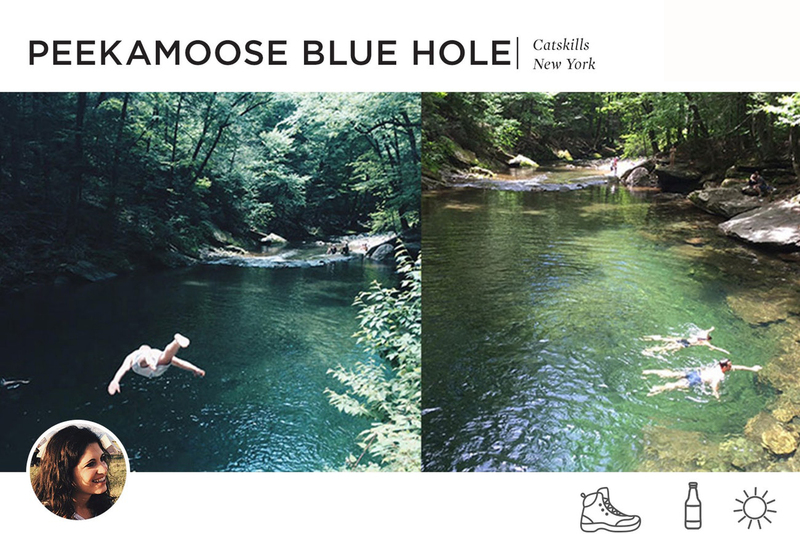 Every summer, my childhood friends meet in the Catskills for a reunion, which is where we found Blue Hole through a tip from a local in Woodstock. As we got deeper in the Sundown Forest, a designated area of conservation, we knew we were headed towards treasure. It’s the kind of water you have to get in—a luminous, otherworldly blue, with dappled light filtering through a canopy of leaves from the surrounding oaks and elms. How to get there: From Sundown, head up County Road 42. A few miles up, you’ll start seeing signs for Peekamoose Road and then Peekamoose Trail. Park and hike four miles in to reach the swimming hole. I found Cummins Falls while in college, before Google Maps and Instagram made it easy to give away these kind of secrets. (We had to ask a guy at the Waffle House in Cookeville.) The Falls (and trail down) feel untouched, even by state park standards. It’s an ideal place to spend a lazy afternoon swimming with friends while watching the sky for eagles. 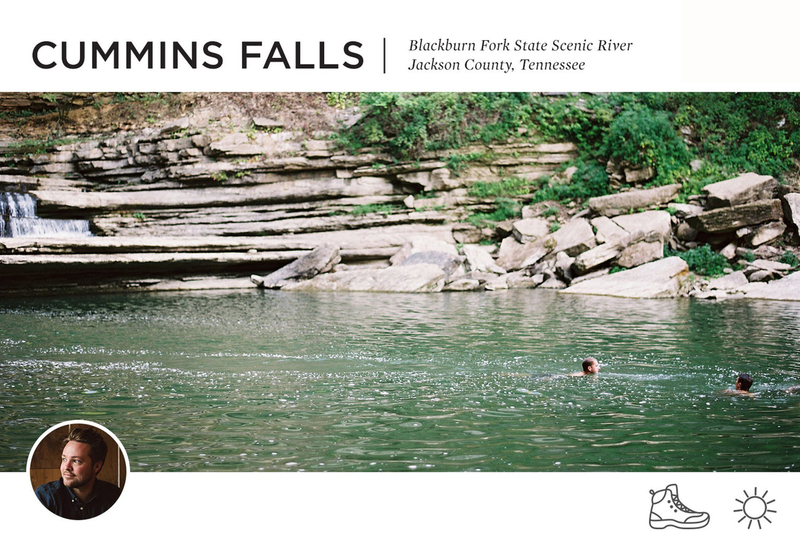 How to get there: From Nashville or Knoxville, follow directions to get to Cummins Falls State Park. Inside the park, take either the Downstream Trail or the Downstream Shortcut to make your way a little over a mile to the Blackburn Fork State Scenic River. Colorado lakes and river are fairly cold year-round, but the great thing about this stretch of the Colorado River is that it’s right next to the Radium Hot Springs. Even after you jump off the cliffs into the cold river, you’ll have the hot springs right next to you, separated from the river by rocks, to warm you up. Usually this spot is calm and serene, but it’s not uncommon to be floating down this section of the Upper Colorado and turn the corner to see a rowdy group of locals having a good time—sometimes naked, sometimes not. 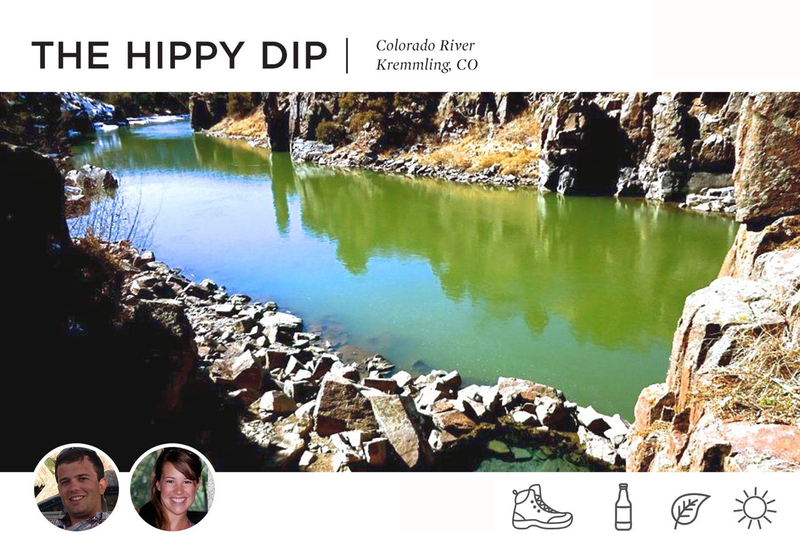 How to get there: Ideally, you get to the Hippy Dip by floating down the Colorado River, but you can also reach it by land. From Kremmling, take Highway 9 towards State Bridge. Turn right onto Trough Road and travel about 10 miles until you hit Grand County Road 11; look for a BLM sign pointing you toward Radium. Follow this road for about a mile and you will see the Mugrage Campground on your left. Park here, and follow the trail on the right across from the campground about a mile to the river. I found this spot on Hipcamp and was one of the first people to go up to the property and experience it. Upper Falls is completely private, which is almost impossible to come by. Even with some other amazing swimming holes in the Bay Area, you have to hike in to get there only to find a party already happening. But at Upper Falls, you drive up and park right next to the water and stay in a redwood-walled canvas tent. 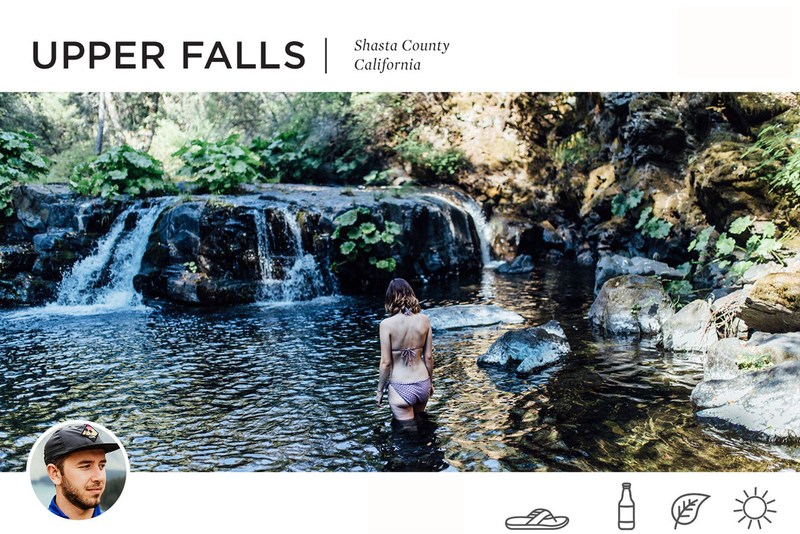 The swimming hole and waterfall are 30 seconds from you, and you can watch the stars and swim in the moonlight. It’s pretty magical—and you have it all to yourself. 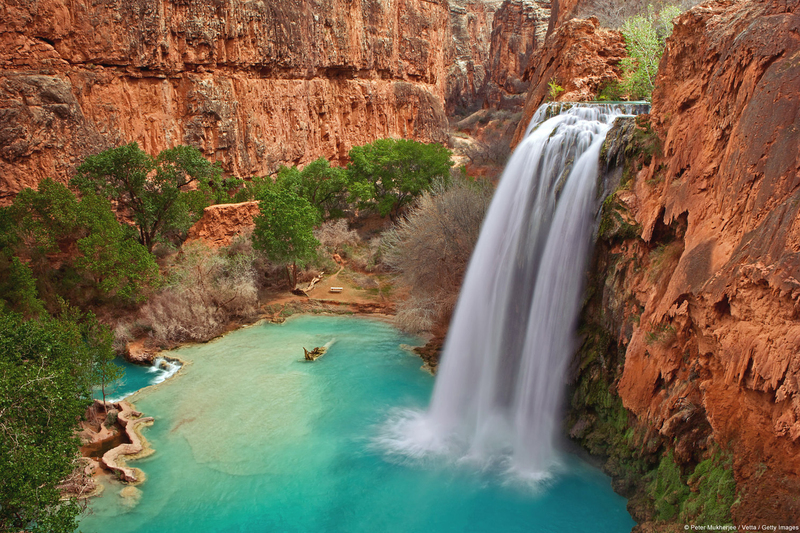 Havasu Falls is one of the most beautiful places I’ve ever been. The milky turquoise water, the red rocks of the canyon, the vibe—it’s all amazing. It’s a mecca for the more avid hikers out there, especially if you backpack in and out instead of taking a donkey or riding a helicopter. When you’re here, everyone feels like family, taking care of each other, helping out with directions, and pointing each other to the best spots to hang out in for the day. To top it off, the people from the village of Supai are incredible—they put us up in their gym when we got flooded out. I’ll never forget the camaraderie I felt out there. How to get there: Follow the extensive National Park Service directions here. Images ©: 1, 2, 8, 18; Alex Souza. 3; Shayd Johnson. 4; Kelsey Boyte. 5, 15; Julian Bialowas. 6; Gale Straub. 7; Whitney James. 9; Wally Gobetz. 10, 11; Sam Alviani. 12; Taylor Bruce. 13; Laurie Sanford. 14; Will and Kelly Watters. 16; Kylie Turley. 17; Chris Brinlee Jr.